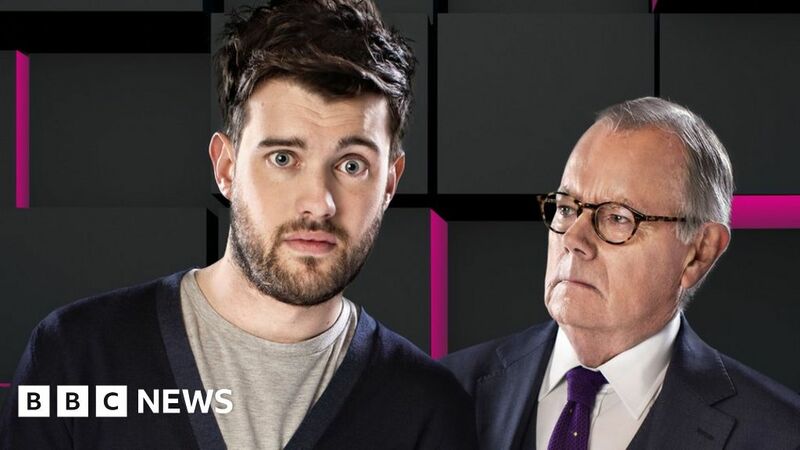 Comedian Jack Whitehall has said he regrets making a crass joke about the Queen and the Duke of Edinburgh. Appearing on BBC Radio 4’s Desert Island Discs he recalled his remark about a bladder infection on Channel 4’s Big Fat Quiz Of The Year in 2012. Whitehall said he upset his family and is now a “lot more careful” about what he says and “self-censor[s] more”. He said: “I have a relatively thick skin but I never wanted to drag them into it”. After Whitehall made the joke in a pre-recorded episode of the quiz show, he said he was on the front of newspapers “every day for a week”. “That was not nice, because it was something I’d said that caused them upset and that was the bit that hurt the most,” he added. The 29-year-old told presenter Kirsty Young that in the early stages of his career he did not give his family the “best version” of himself. Whitehall’s relationship with his father has been highlighted by joint ventures in the TV shows Backchat and Travels With My Father. But he insists the more tender moments on-screen can never really be planned. Whitehall admitted the nature of his work meant spending time with relatives was sometimes sacrificed. “I got very bad at it. I’d come to life when on a show and I’d be upbeat and fun, and when I was with [my family], I was kind of twitchy and on edge and anxious about work. He told the programme it upset him when people would suggest his success was down to his father’s career as a celebrity agent. “To become a stand-up comedian, the fact that my dad used to look after Christopher Biggins doesn’t necessarily help you get stage time.